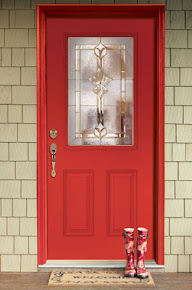 FALL in love with our durable, fiberglass doors! Fall is here! 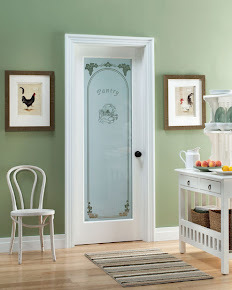 So FALL in love with our stunning glass designs and rich, bold pre-painted door colors! 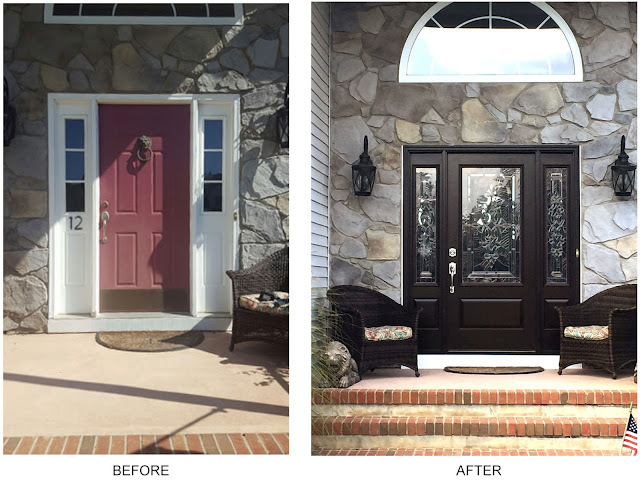 In real life - See the 'before' and 'after' Feather River Doors improvement! Here is one of our customer's dramatic entryway improvement, using Feather River Doors' beautiful Silverdale® glass in a Chestnut Mahogany finish ¾ Lite Door and Sidelite combination! Wow, what a big difference!